Listen in as we review the new films Eddie the Eagle and Zootopia as well as the DVDs, Guess How Much I Love You and The Adventures of Gumby, the 60s Series. Hosts Keefer, Gerry and Morgan are joined by KIDS FIRST! Film Critics Abigail, Ryan, Willia, Mia and Samantha. Before you spend your hard-earned dollars at the movies or on DVDs, be sure to listen to what our youth critics have to say. Zootopia, Eddie The Eagle, Guess How Much I Love You and More. Listen in as we review the new Disney film Zootopia, Eddie the Eagle – based on the true life story of Olympic ski jumper Michael “Eddie” Edwards and the new DVD Guess How Much I Love You. Hosts Brianna Beaton and Brandon Cela are joined by KIDS FIRST! Film Critics Mia, Gerry and Kamren. Before you go out and spend your hard-earned dollars at the movies, be sure to listen to what our kid reporters have to say. 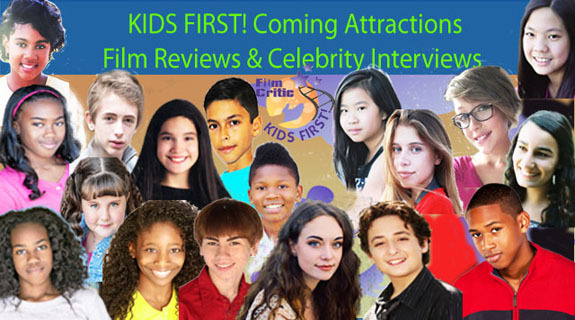 Posted in KIDS FIRST RADIO | Comments Off on Zootopia, Eddie The Eagle, Guess How Much I Love You and More. You are currently browsing the KIDS FIRST! Radio weblog archives for March, 2016.